you to three unique workshops to meet your unique needs! free SEO tips and strategies, and new product offerings! it is no longer (unfortunately) available, we do have several other new bonuses that you'll be getting. It's not just some art theory or personal opinions. It is rooted in fact. •What color your product be? • What color websites and blogs will convert the best? 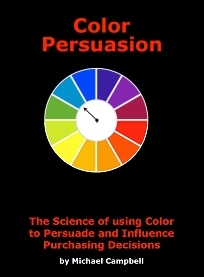 And the most important question of all...How does color affect emotion and influence the purchasing decisions of your viewers? What other bonuses do you get for attending the Orlando SEO Mastery Workshop? The Complete Master Resale Rights for each student. Sign up to receive notification of future SEO workshops, free SEO strategies and tips, and new product offerings through e-mail. This was the most amazing, practical, informative & "feel good" workshop ever and I'm so glad I made the decision to attend. John, I just tried one of the techniques I learned at the SEO Mastery Workshop and I have shivers down my spine now! This is truly powerful! You guys are amazing! I attend different courses conducted by some of the top names in the Industry but this is the best course, I have ever attended. You both are made for one another professionally. The two of you are so powerful in combination. You are doing some great things for people's lives. I wanted to let you know how amazed I was by the workshop. I thought I had a good deal of knowledge going into the workshop, wow: was I wrong! Your workshop really opened my eyes.